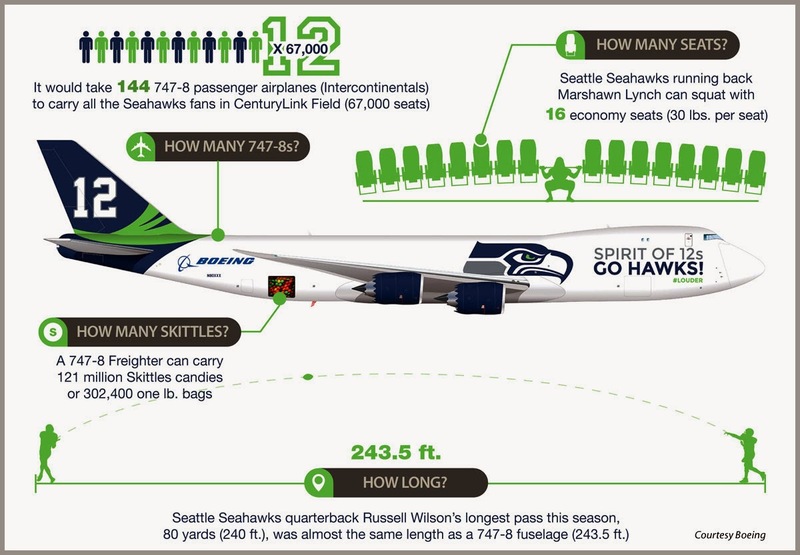 Seattle Seahawks: The12th Man Demystified! 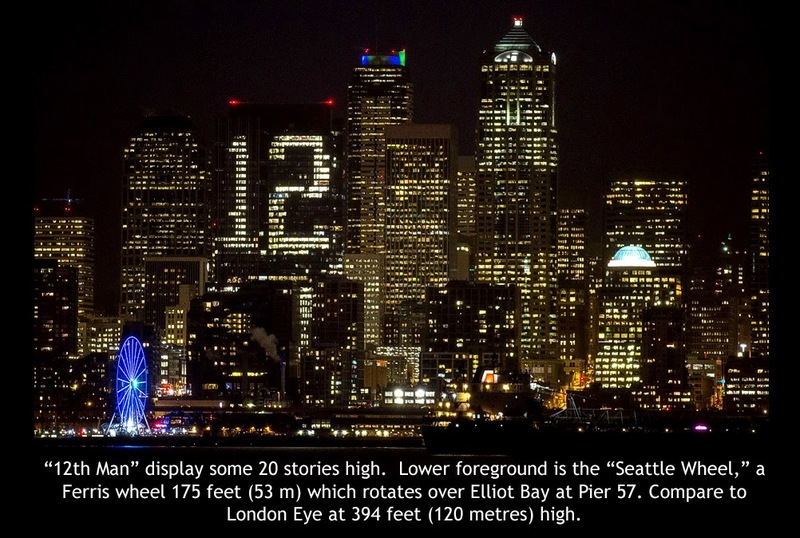 Seattle Seahawks fever is reaching epic proportions as Super Bowl Sunday rapidly approaches. 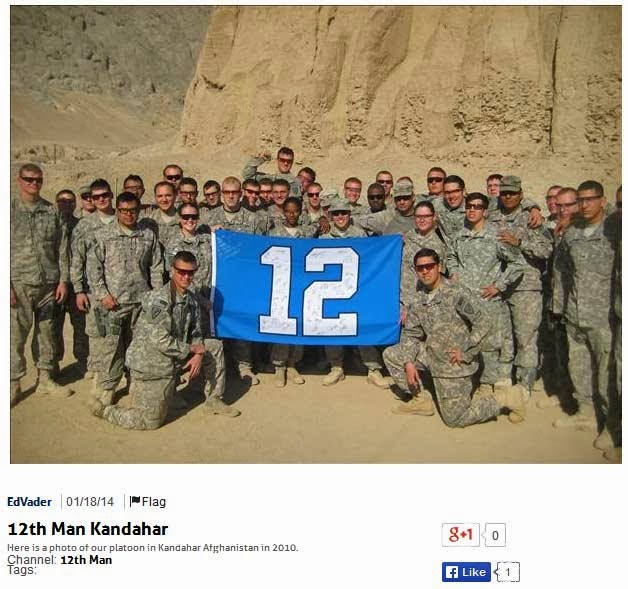 And the ingenuity of public display of the "12th Man" flag has been remarkable. How can you top displaying the symbolic standard than from atop Mt. Everest? 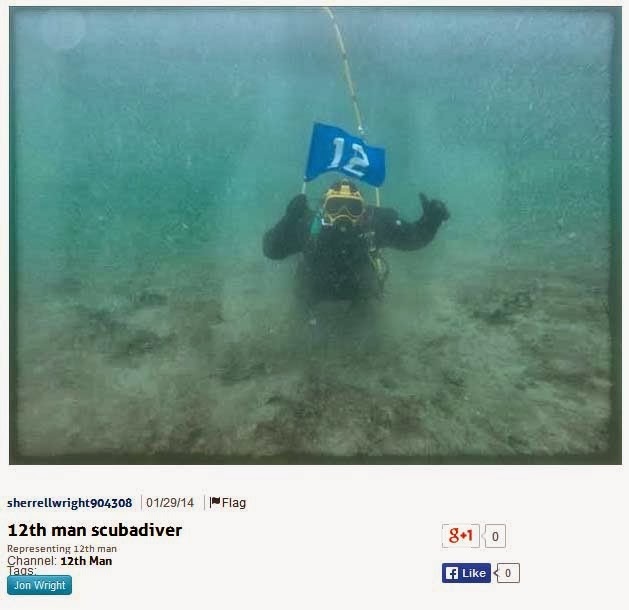 At the opposite end of the scale, a SCUBA diver displays the flag from the depths of Puget Sound! 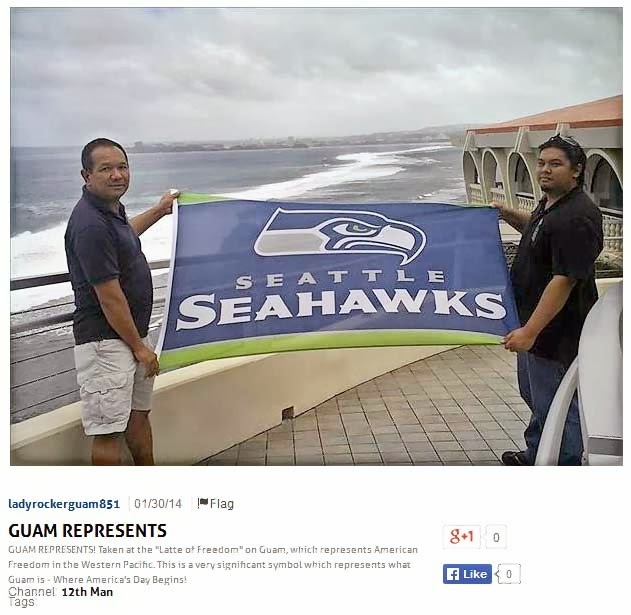 Here, residents of Guam proudly display the colors. This office building located on 2nd avenue in Seattle is one of several structural displays. 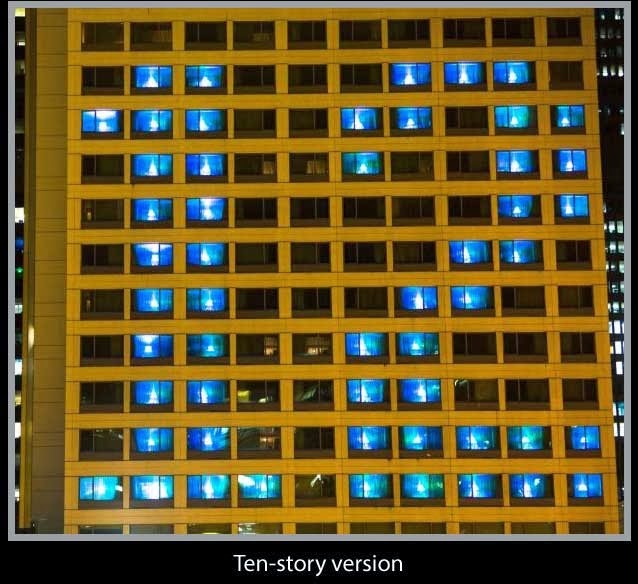 It is 20 stories high, created by lighting selected windows. This example shows in more detail, a 12 story high rendition. 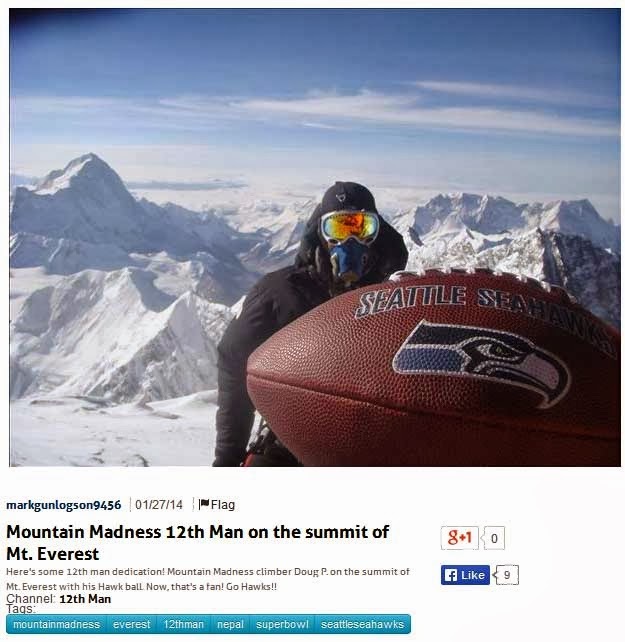 Groups of people are driven by Seahawk Fever to create human versions of the 12th Man standard. 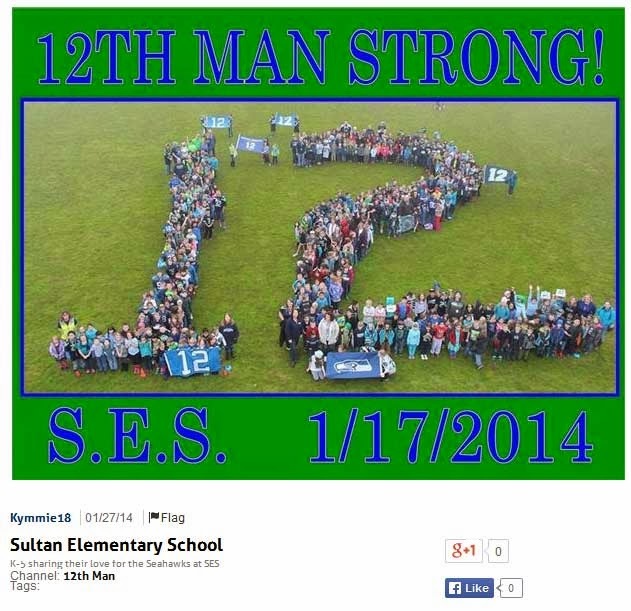 Above, students from rural Sultan, Washington proudly posed. And troop in Afghanistan, took a few minutes to pose with the flag in Kandahar, taken a few years ago. 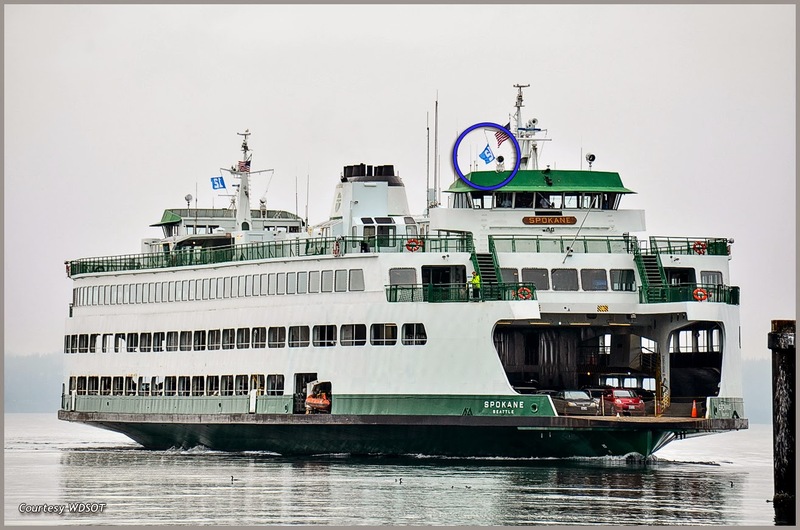 Even the ubiquitous Washington State Ferries are displaying the famous "12th Man" Flag. Origins of the "12th Man"
Iowa football captain E.A. McGowan wrote about fans lifting the State University of Iowa to a victory in 1903. “When the evening dusk began to gather over the field and the whistle had blown for the last down, the game was over with the score Iowa 12, Illinois 0. 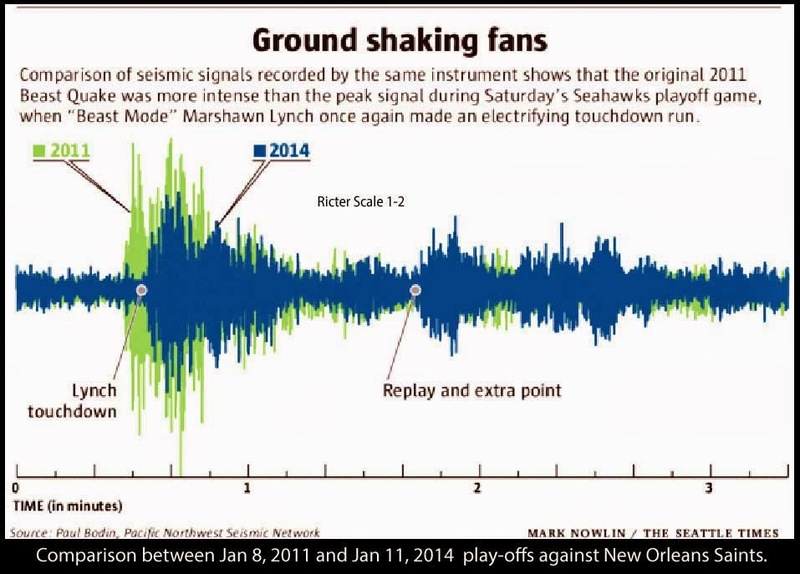 In the decades since, references to a 12th man have been both specific (to certain venues) and generic (any loud home field). The tradition of the "Twelfth Man" as we now know it, was born on the second of January 1922, when the underdog Texas A& M "Aggies, " was playing Centre College, then the nation's top ranked team. 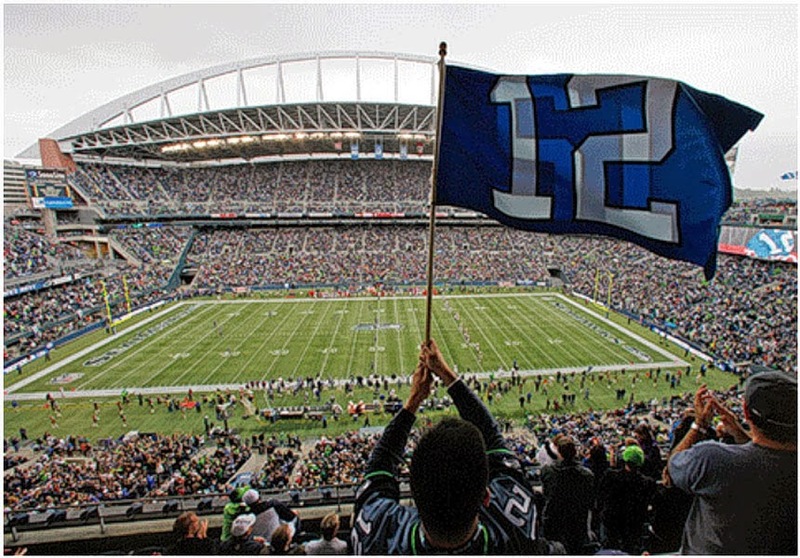 The Seattle Seahawks adopted the spirit of the 12th Man in 2004, and were immediately requested to "cease and desist" by Texas A&M. The United States Patent and Trademark Office had issued trademark registrations to Texas A&M for "12th Man" and "Home of the 12th Man." Texas A&M officials sent requests to stop using the phrase to the Seattle Seahawks in 2004 and 2005, to the Buffalo Bills, and the Chicago Bears. 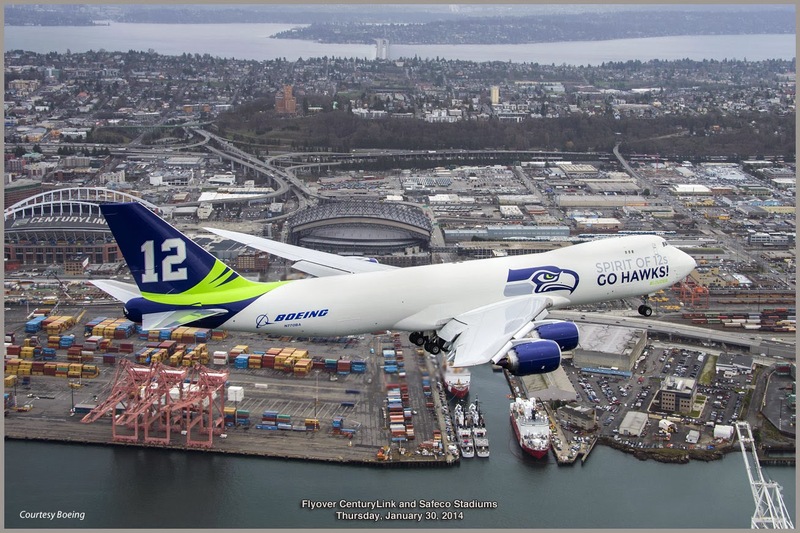 Both the Bills and the Bears responded to the requests stating they would no longer use the phrase, however the Seahawks did not respond to the request. As a result, in January 2006, Texas A&M filed a trademark infringement lawsuit against the Seattle Seahawks to protect the trademark and in May 2006, the dispute was settled out of court. As part of the agreement, the Seahawks acknowledge Texas A&M's ownership rights of the trademarked phrase. However, the NFL team may continue using it under license. 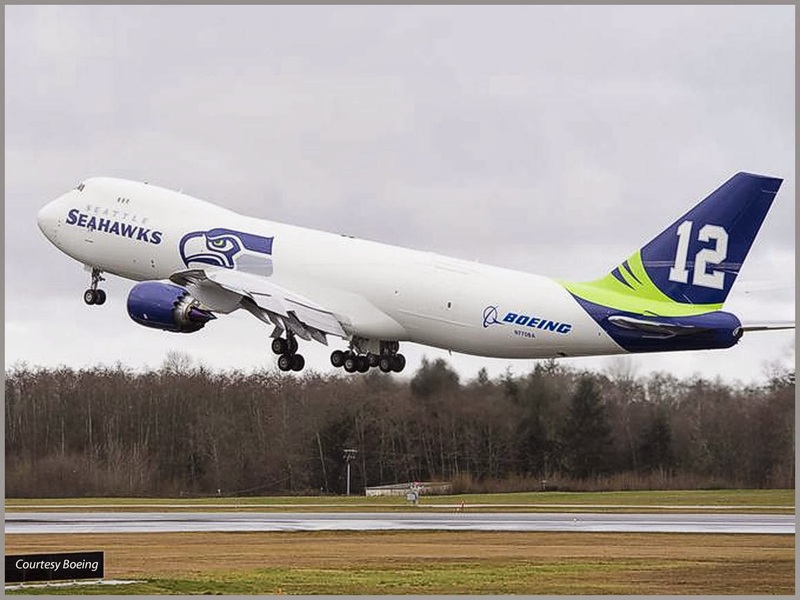 Texas A&M licensed the Seahawks to continue using the phrase "12th Man" in exchange for $100,000, along with public acknowledgement by the NFL franchise as to Texas A&M's ownership of the phrase, and an additional annual fee, amounting to $7,500 per year. 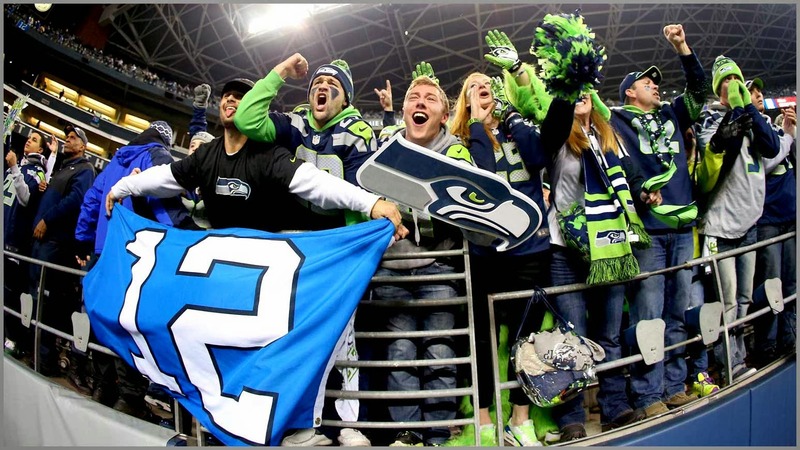 The effects of the "12th man" vary widely, but can be put in two categories. • The first is simply psychological, the effect of showing the home team that they are appreciated, and showing the away team that they are somewhat unwelcome. • The second directly relates to the deafening effects of a loud crowd. The noise of the crowd can have a significant impact on the players on the field. In American football, an extremely loud crowd can prevent the offensive linemen from hearing the snap count. This can have the effect of making the player slower to react when the ball is snapped, and his eventual response may be weaker than normal because each play is begun "with some indecision and doubt." The noise can also prevent players from hearing audible signals and can make it difficult for the team's offense to coordinate plays in the huddle. The effect of the noise can often be measured in mistakes, such as false start penalties. Coaches can take steps to minimize the effect of the crowd noise on their teams. 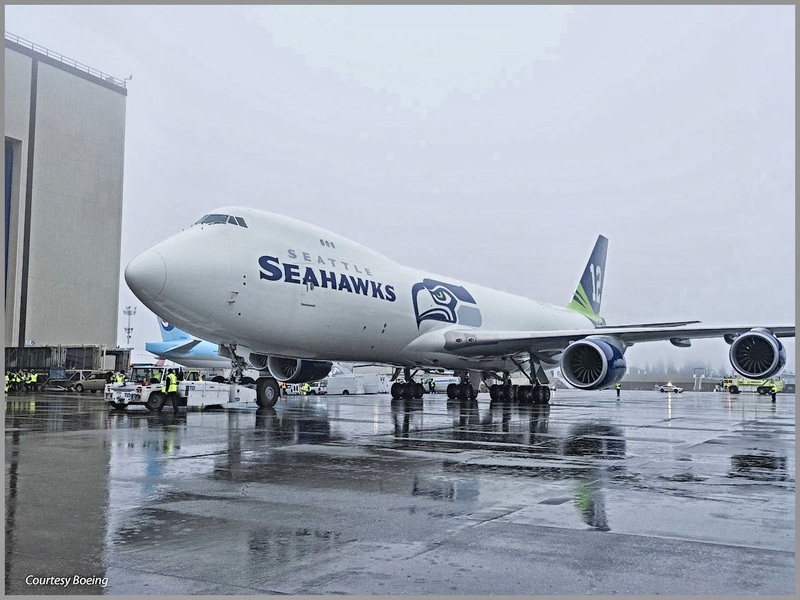 Some American football teams bring large speakers to their practice fields and broadcast loud noises such as jet engines to prepare their teams for the anticipated noise level. Crowd noise tends to diminish after a long lull in play, such as a pause for instant replay. Former NFL player Brian Baldinger speculates that some coaches draw out reviews as part of a coaching strategy to quiet the crowd for their next play. 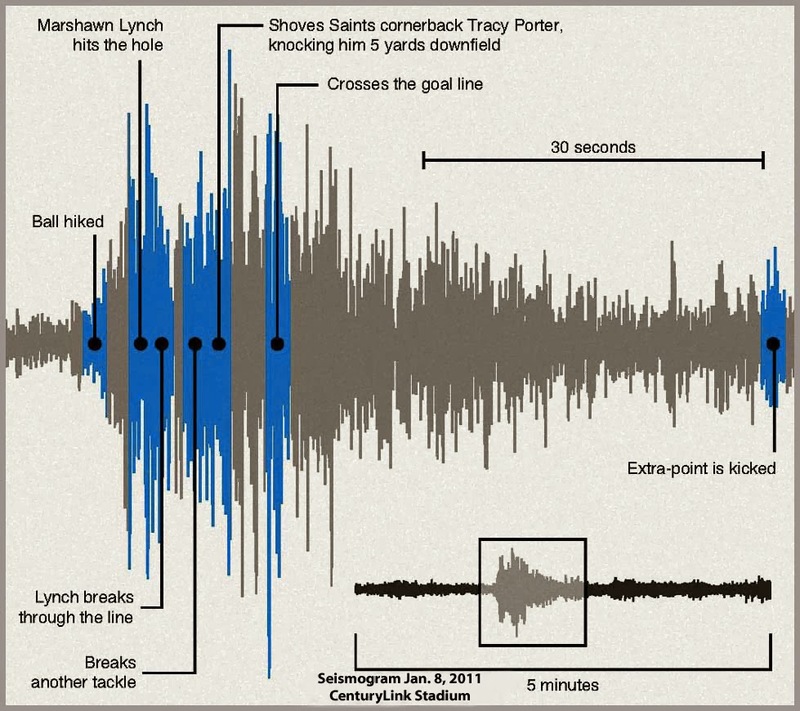 The current world record for crowd noise at an athletic event was set on December 2, 2013, at an American football game in Seattle, Washington. Noise during that event reached a high of 137.6 decibels. A researcher from Harvard University discovered in a study that some association football referees appeared to be impacted by crowd noise. His studies revealed that a home team acquired an additional 0.1 goal advantage for every 10,000 fans in the stadium. Marshon created another explosive quake, again playing the Saints three years later. 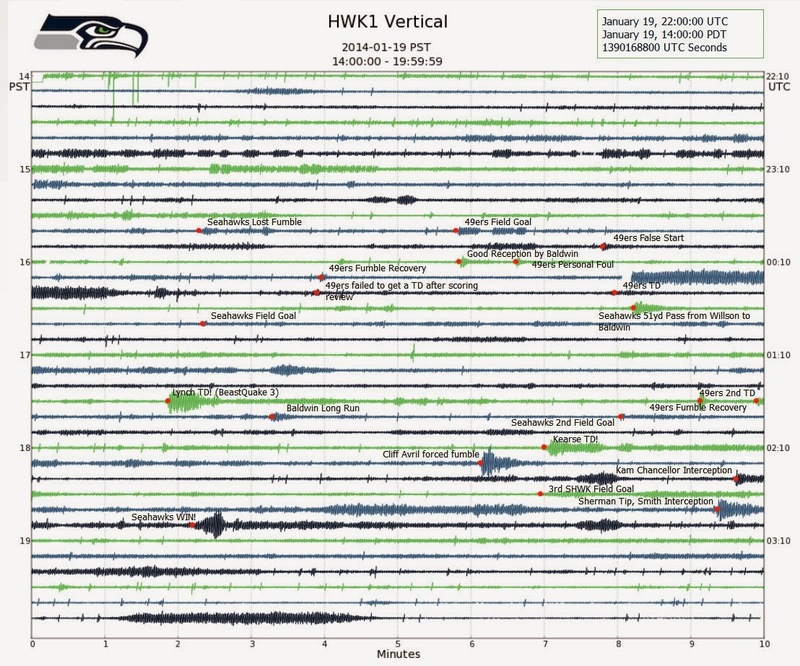 But the seismogram shows the second quake fell short of the original. 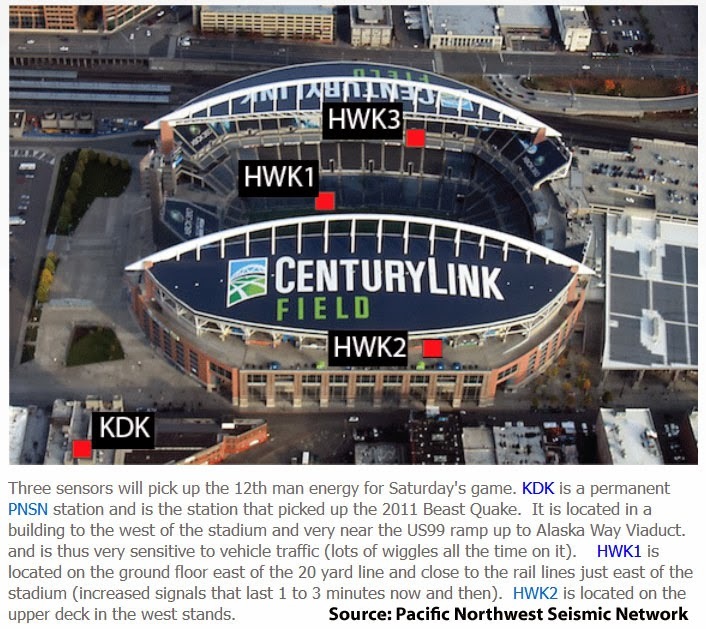 and two additional sensors were located in a janitor's closet behind the visitor's bench and behind a concession area on the 300 level of the stadium. • The Seahawks first played in the late Seattle King Dome. 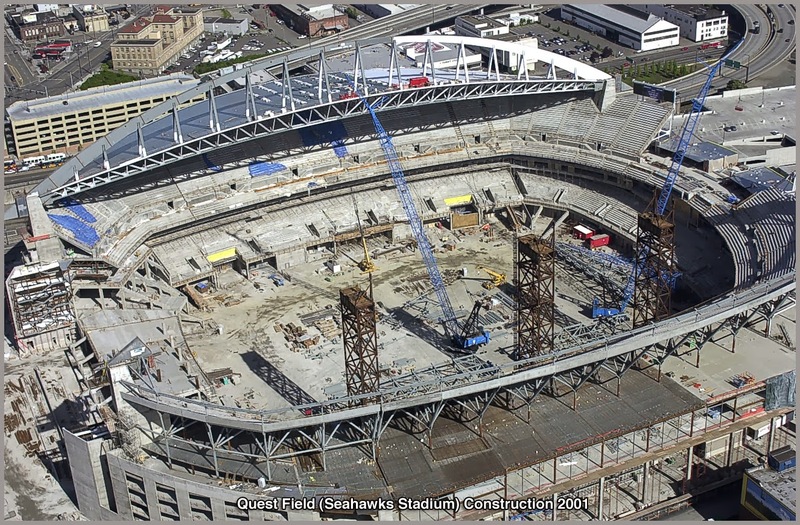 • Seahawks Stadium was built by Microsoft's co-founder, Paul Allen, construction 2000 - 2002. 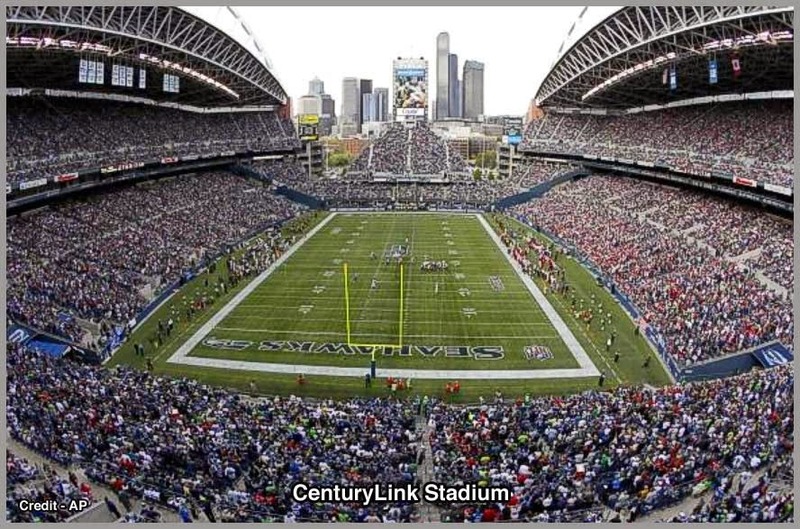 Renamed Qwest Field 2004–2011, renamed CenturyLink Field, 2011 to present. • Location. 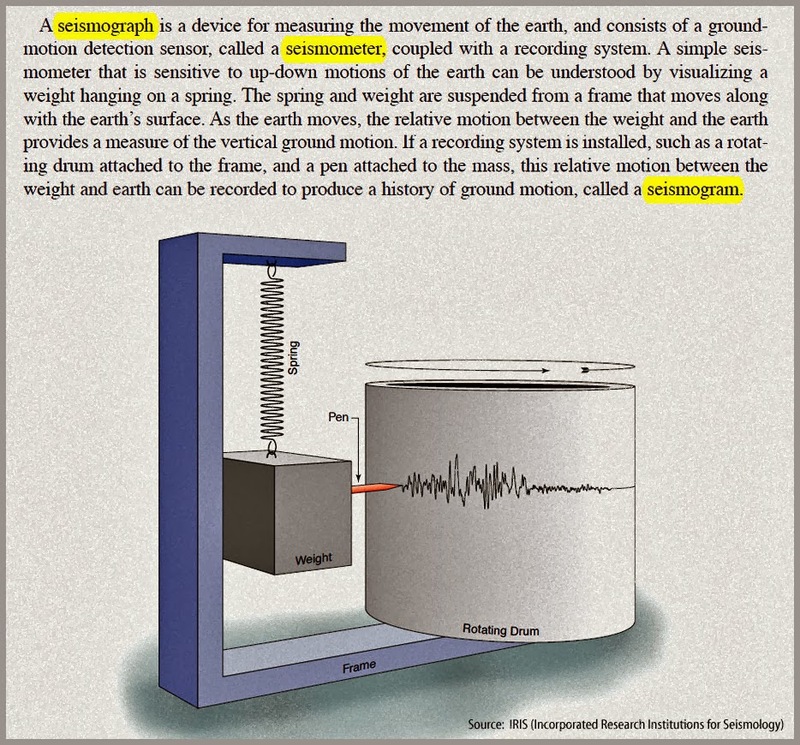 The location plays an important part in seismic reaction to the fans. 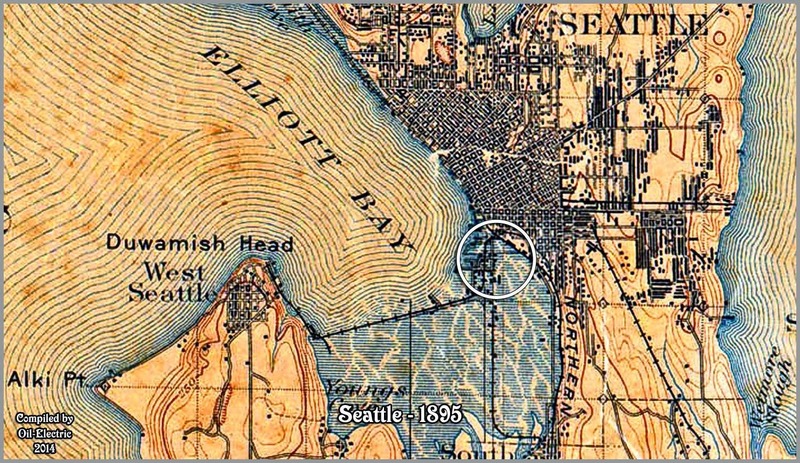 This map of Seattle in 1895, show the area to be part of Elliott Bay. 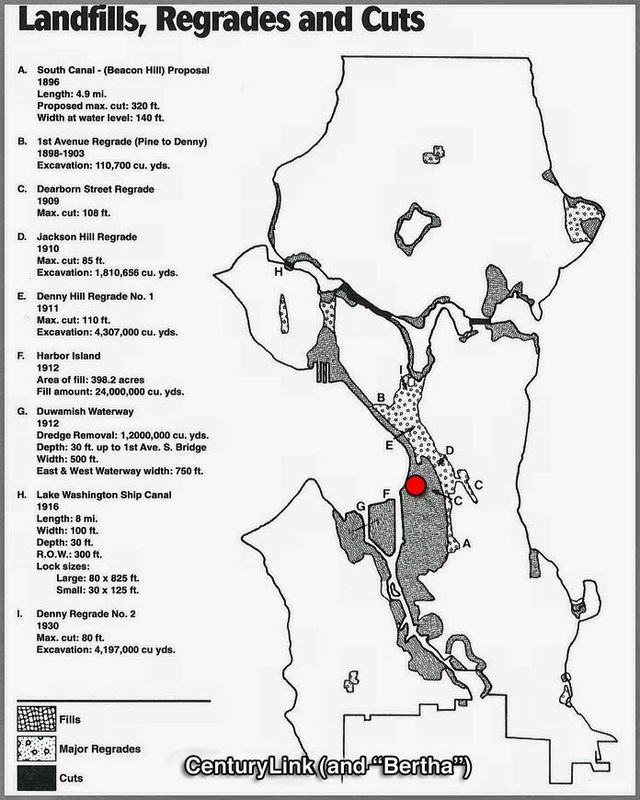 • A number of "regrades" of Seattle hills and various reclamation projects created a foundation for the expansion of the City to the south. Both the Seahawks CenturyLink Field and adjacent Safeco (Mariners) Stadiums are built on this massive landfill. 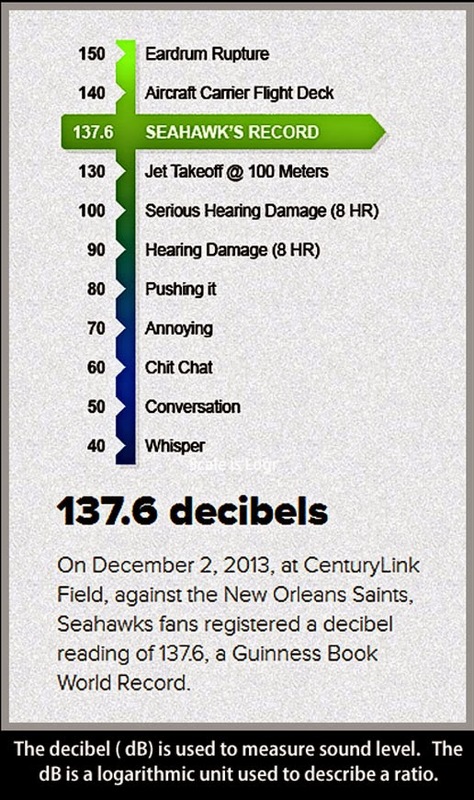 • As for the sound levels inside the Stadium. Architects readily agree that the tiers of seats form a cone of reflection which amplify the roar of the fans. 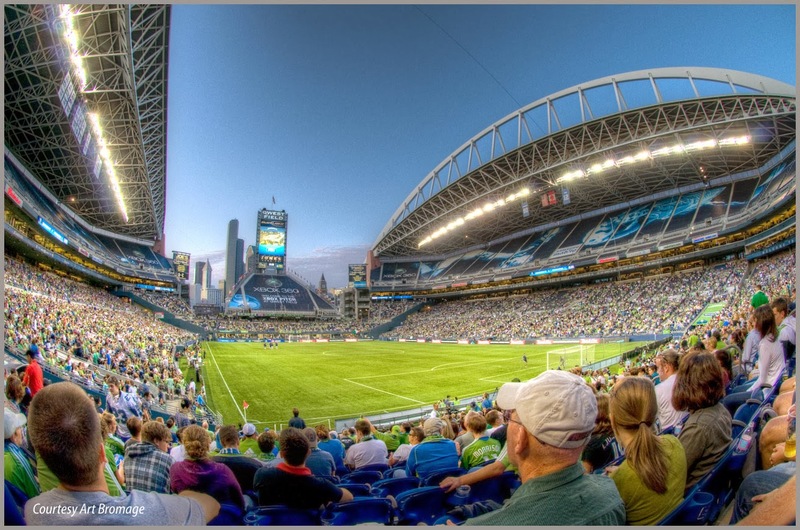 • CenturyLink is also "home" for the Seattle Sounders Football Club. 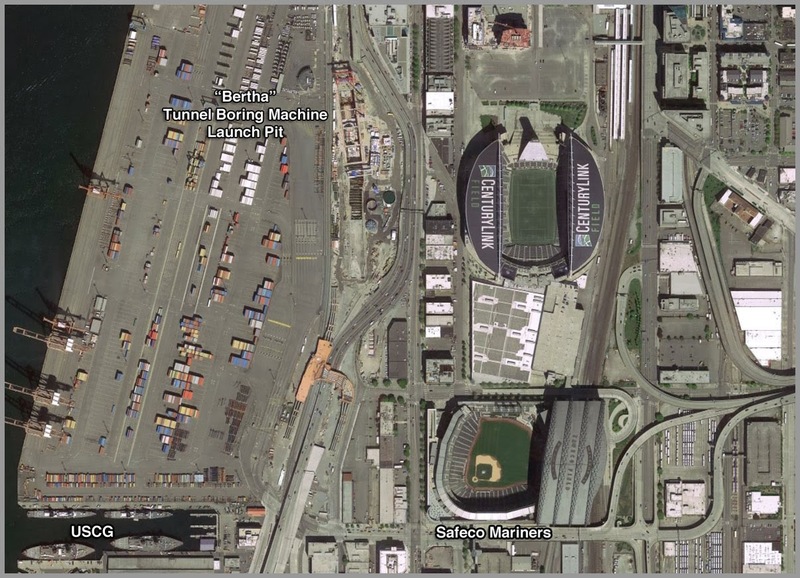 • SR99 "Bertha" Tunnel Boring Machine is a few hundred yards north of the Stadium. 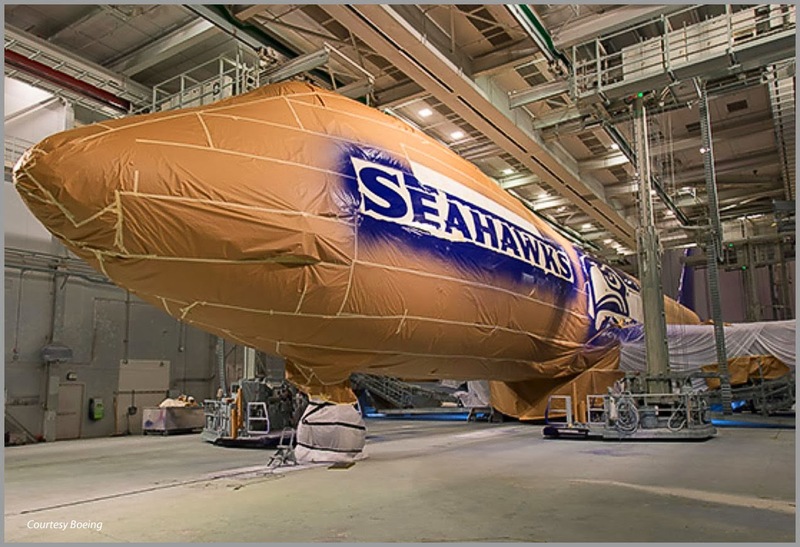 Apparently a customer cancellation resulted in this new airfrieghter joining Boeing's Test Fleet. 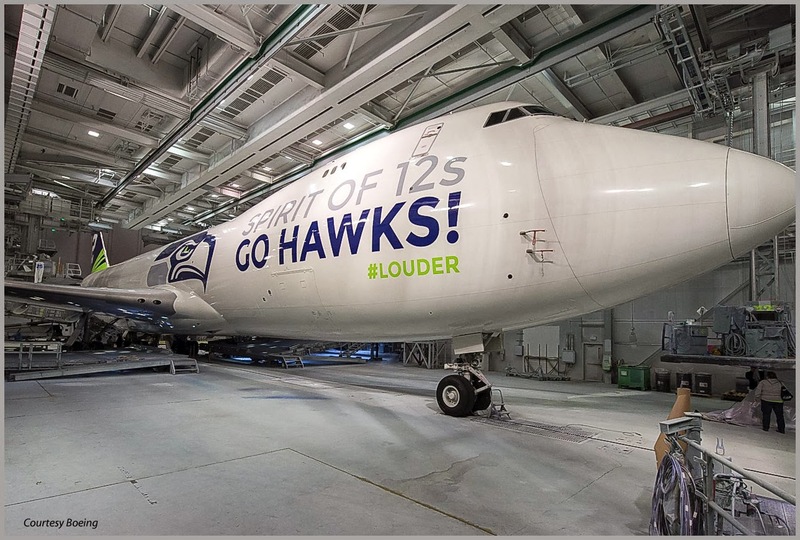 And this week, Boeing Everett Paint Shop unveiled a magnificant tribute to the Seattle Seahawks, memorializing the "12th Man" and hash mark "Louder." 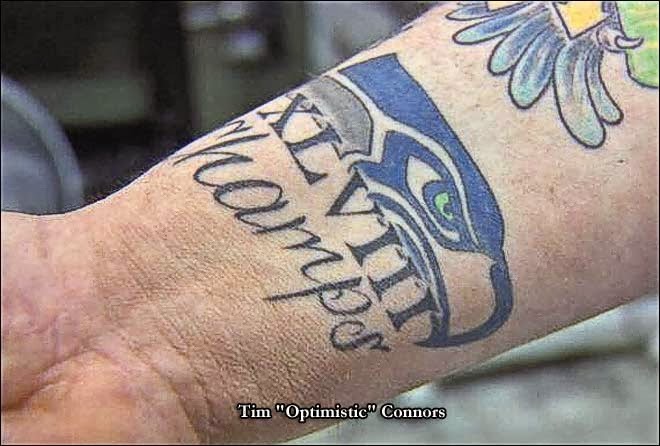 Tim Connors of Edmonds Washington had better hope the Seahawks win! However, on the Jimmy Kimmel Show last night, he said it stays as is, no matter the outcome. Interesting to note that 95% of fans interviewed stated they had no objection to the tattoo, whilst the other 5% feel strongly that he has "hexed" the outcome! 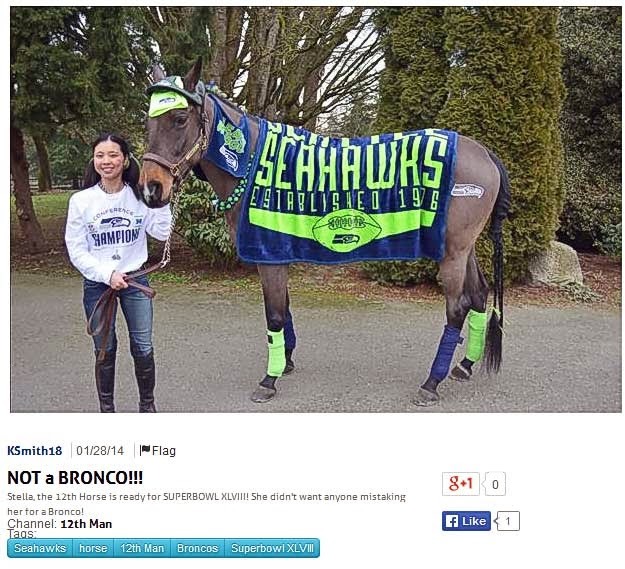 Finally, my sister gave me a "head's up" concerning a Bronco that got lost in Ferndale, Washington. Not a pretty sight! No doubt you know where I will be Sunday Afternoon, in front of my Big Screen! "Go Hawks!" See Also: Taima's Remarkable Flight! Chambers Creek Bridge 14: "The Real Skinny!" I asked for the "source" of this information, but received no reply. "Anon" comments remind me of my Late Dad's Admonition: "Do not trust a person who will not make eye contact with you." 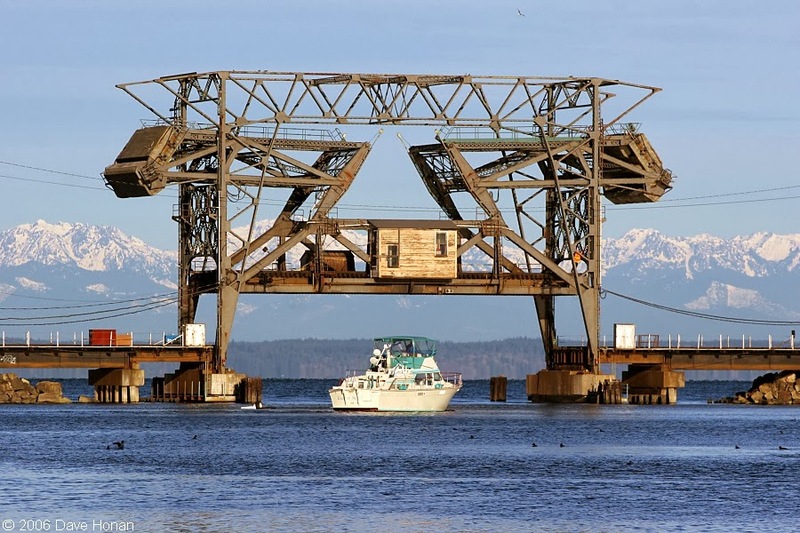 Since Chambers Creek is a navigable waterway, as I detailed in my original post on Bridge 14, it would require an act of Congress to change the status, allowing Burlington Northern Santa Fe to "lock" the bridge in the down position, thereby inhibiting vessel traffic. 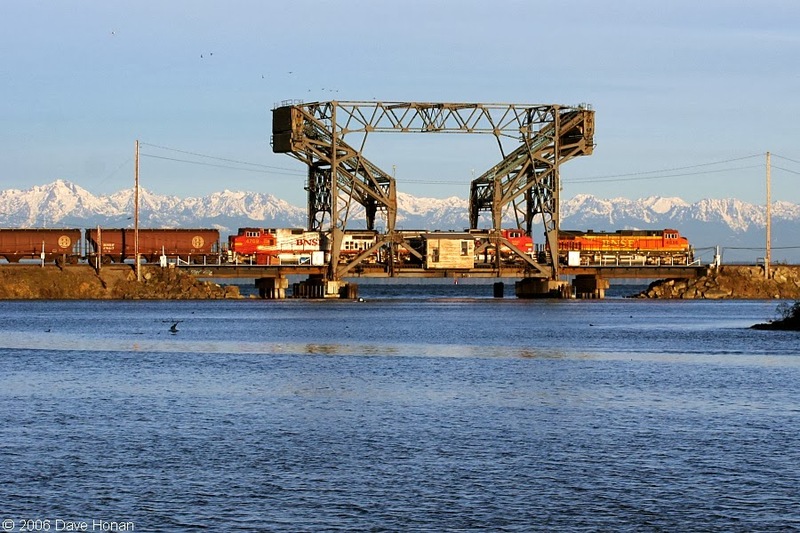 The Coast Guard has issued a temporary deviation from the operating schedule that governs the Burlington Northern Santa Fe (BNSF) Chambers Creek Railway Bridge across Chambers Creek, mile 0.0, at Steilacoom, WA. The deviation is necessary to allow BNSF to perform maintenance and upgrade items to this vertical lift bridge in support of Positive Train Control requirements per the Rail Safety Improvement Act of 2008. This will require locking the bridge in the closed position and locking out the power to the drive system while the work is conducted. This deviation allows the bridge to remain in the closed position for 45 days during the maintenance and upgrade work. Federal Law dictates that the bridge must return to its normal opening/closing protocols on February 19, 2014. It is very important that folk post material on the Internet that is true, accurate, factual. I've been writing this Blog for many years, investing thousands of hours in research. A major problem I have encountered is the posting of inaccurate material, which is repeated like the "Rumor Game," amongst Blogs, Forums and Groups. 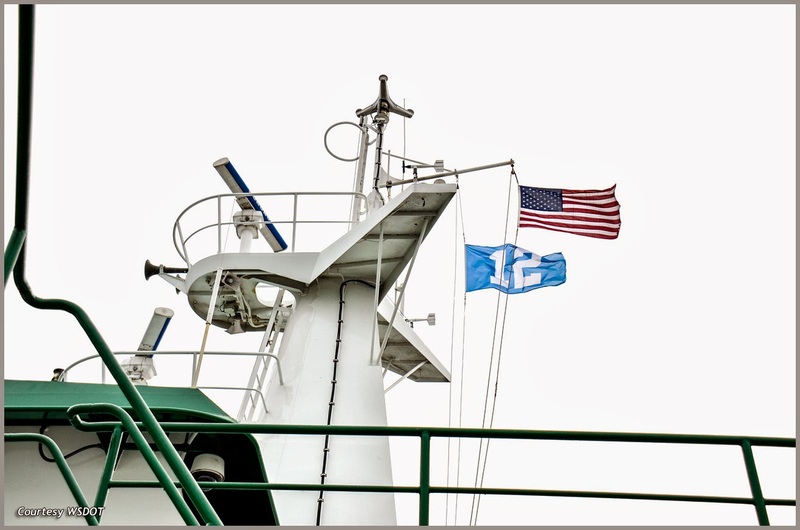 • Once again, my sincere thanks to Dave Honan, allowing me to feature his nifty shots of Bridge 14; closed allowing rail traffic, open allowing vessel traffic. • Thanks for the story "heads-up" by "anonymous." • And finally a "heads-up" for duffers: Chambers Bay Golf Course, along the banks of Chambers Creek, abutting the BNSF main line, will be the venue for the US Open, June 18, 2015. Hello my Canadian readers! The good news is, I appreciate your support. The bad news is a trade agreement Canada intends to sign, which will have far-reaching implications for individual Canadian rights and civil liberties. As with the United States, the Trans-Pacific Partnership (TPP) agreement favors corporate interests over consumers. The Trans-Pacific Partnership Agreement proposes sweeping reforms over pharmaceuticals, publishers, patents, copyrights, trademarks, civil liberties and liability of internet service providers. If instituted, the TPP’s Internet Provider regime would trample over individual rights and free expression, as well as ride roughshod over the intellectual and creative commons. If you read, write, publish, think, listen, dance, sing or invent; if you farm or consume food; if you’re ill now or might one day be ill, the TPP has you in its cross-hairs. Canada joined TPP negotiations along with Mexico in 2012. 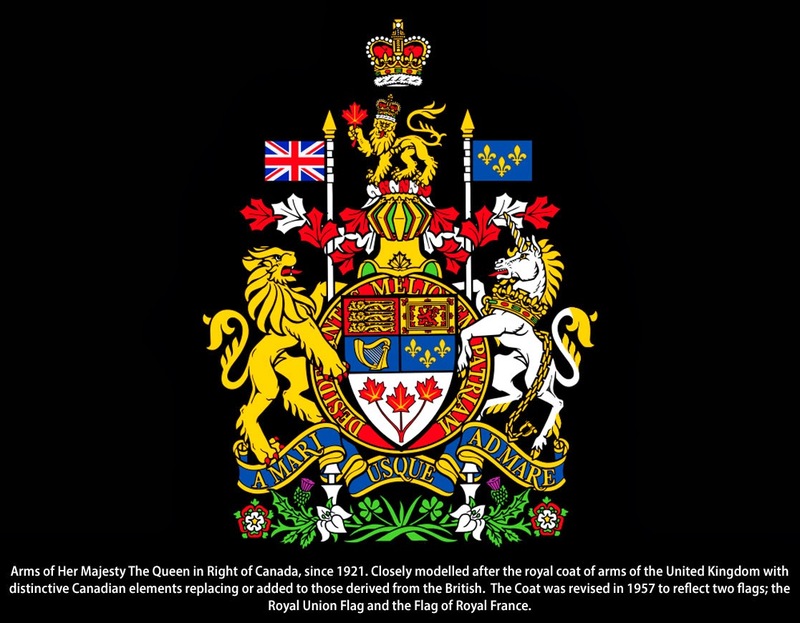 • Trans-Pacific Partnership: 11 Things Harper Doesn't Want To Reveal About the Secretive Trade Pact. 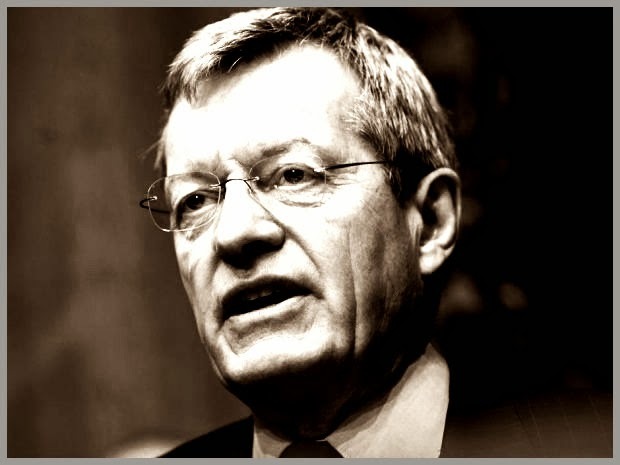 • Senator Max Baucus, ironically a Democrat from Montana, has at least 11 million reasons to promote Fast Tracking the Trans-Pacific Partnership. But he has nothing to fear about voter retribution over his push on TPP, since he is not seeking re-election. In fact, he will be rewarded for his efforts! As an ardent Obama supporter, he's lost my backing, first on the Fast Tracking of the Trans-Pacific Partnership, and then, the audacity of selecting Max Baucus as an Ambassador! I have a sinking feeling all politicians lack integrity. I plan to write Obama on this issue, Stay tuned for results, if any. And you believed used-car salesmen were bottom feeders! The Trans-Pacific Partnership (TPP) will create a super-treaty that will jeopardize the sovereignty of member nations by giving power to corporations like Wal-Mart, Monsanto, Goldman Sachs, Pfizer, Halliburton, Philip Morris, GE, GM, Apple and dozens more. There are currently 11 nations involved: U.S., New Zealand, Australia, Brunei, Chile, Malaysia, Peru, Singapore, Vietnam, Mexico and Canada. Japan has shown interest. Unfortunately, little has been reported on over-the-air or cable news. And I would venture to say you may not know what the TPP is. The TPP is complex. Very complex. And is being cut out of whole cloth behind Corporate closed doors. It is not an inclusive process. While there is virtually no involvement of Lawmakers in establishment of policy or enforcement, the TPP will allow corporations to sue governments! 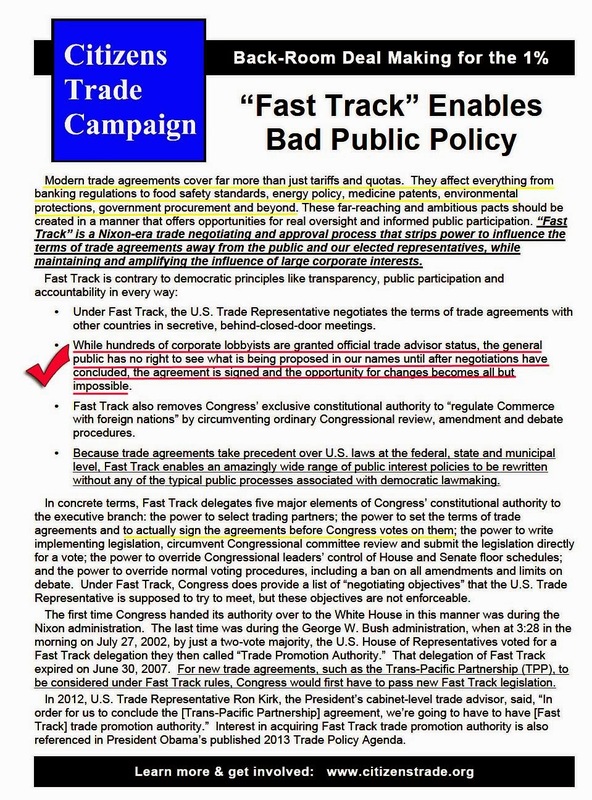 Perhaps the most egregious aspect of the TPP is it's demands to be "Fast Tracked" through Congress and Senate. Rather than being INCLUSIVE, the Nixon-era procedure, allows trade pacts to be signed before Congress approves them, and then to be railroaded through Congress in 90 days with limited debate and no amendments. I've generally supportive of President Obama initiatives; but he is sound asleep at the front door on this one! He has endorsed the Fast Track process! If you thought NAFTA was a good the economy, you will adore the TPP. Which of the following features of the TPP appeal to you most? • TPP will offshore millions of good-paying jobs to low-wage nations, undercutting working conditions globally and increasing unemployment. • TPP will limit food GMO (genetically modified organisms) labeling and allow the import of goods that do not meet US safe standards. • TPP will institute SOPA, PIPA, and CISPA-like regulations and Internet measures which restrict our right to free speech. • TPP will roll back Wall Street regulations, and prohibit bans on risky financial services. 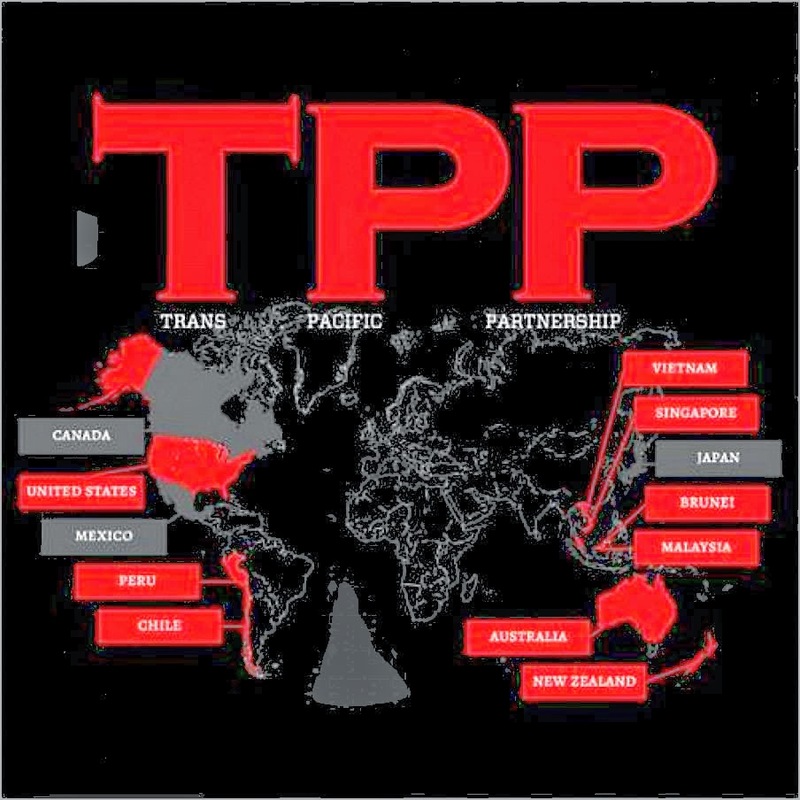 • TPP will give multinational corporations and private investors the right to sue nations in private tribunals. These tribunals have the power to overturn environmental, labor, or any other laws that limit profit, awarding taxpayer funded damages. • TPP will encourage the privatization of lands and natural resources in areas where indigenous people live. 74. Levi Strauss & Co.
To learn more about individual corporations and their involvement with TPP, simply Google "TPP+name of entity." The shear size and scope of this Partnership seems to intimidate over-the-air and cable snooze media. Ed Schultz on MSNBC is the only voice I've heard. Remember what they said about NAFTA? NAFTA, which was supposed to create 200,000 jobs in two years, actually killed 682,900 U.S. jobs in 20 years, according to the Economic Policy Institute. NAFTA paved the way for CAFTA, the WTO, PNTR and KORUS FTA, none of which have done what their supporters promised they would do: Create good American jobs. Instead, these treaties have destroyed American manufacturing, widened the U.S. trade deficit, damaged the middle class, eliminated jobs, empowered corporations and weakened the power of the people. "Don't worry," They said. "If there are any serious inconsistencies, we'll fix them up!" What can we mere mortals do when faced with Big Business writing law? All I can think of is to make sure you contact your lawmakers, and at the very least demand the "Fast Track" not be allowed, giving time for greater transparency as to the vaious provisions and understand the ramifications of the TPP on our lives and economy. More Things That Go Boom in the Night! The story of a recent derailment on the Canadian National Railroad (CN) at Plaster Rock New Brunswick, may have been found buried somewhere in the second section of your local newspaper. Since the cars that caught fire following the derailment were not bearing Fruit of the Loom skivvies, but crude oil and propane, the derailment became page one fodder. The 122-car train was headed east from Toronto to Moncton, New Brunswick. The tank cars were destined for the Irving Oil refinery in Saint John. 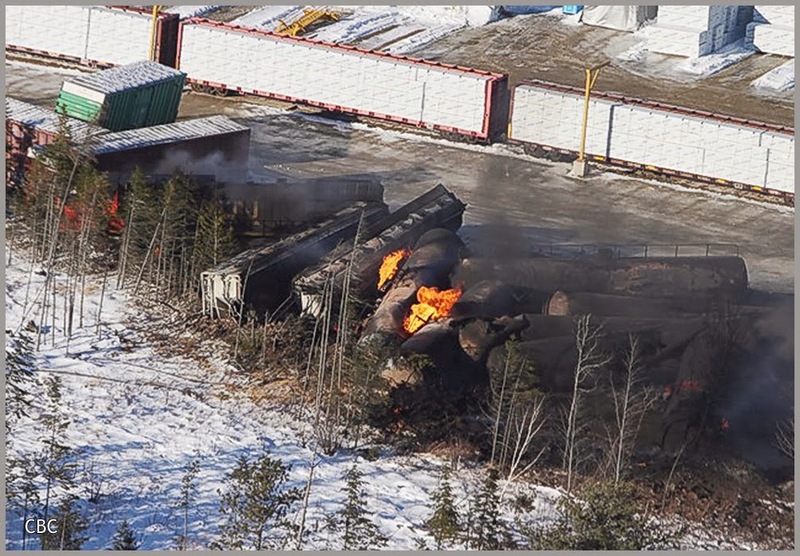 That is the same destination of the ill-fated oil train derailment in Lac-Mégantic, Quebec. This derailment involved the last fifteen cars and pushing distributed (unmanned) power pack. 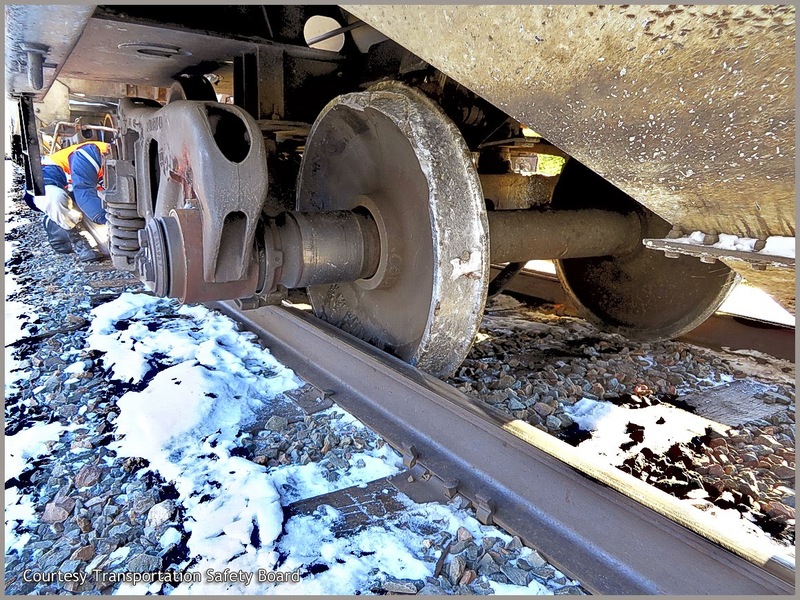 CN believes that this cracked wheel triggered the derailment at this point in their investigation. Jim Feeny of CN Rail said "Indications are that there was a sudden failure of a wheel on Car 13, which ultimately led to the chain of events that led to this derailment. "Now, there are a number of factors that still have to be looked at as part of that. What exactly failed on the wheel? What are the causes of that failure?" This latest incident involving DOT-111 tank cars (designated CTC-111A in Canada) comes just weeks after the fiery display that lit up Casselton, North Dakota. 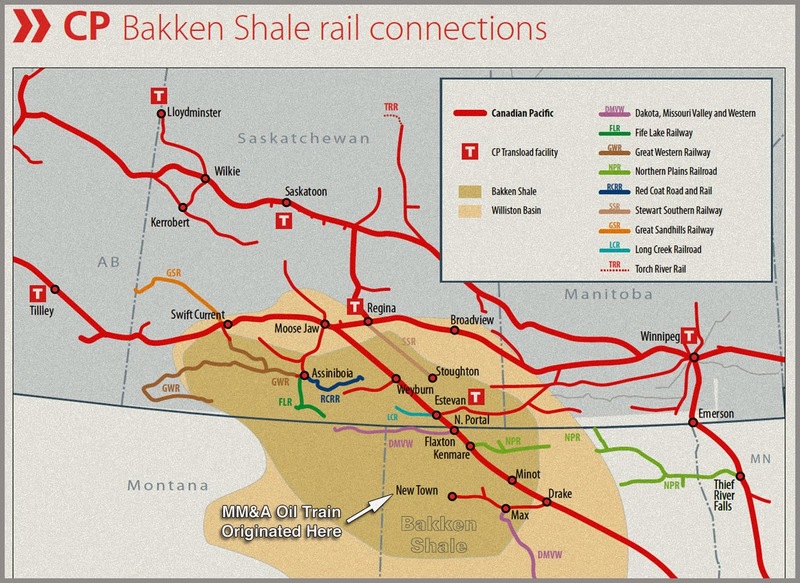 The Canadian oil originated in the oil sands of Manitoba; the crude oil at Lac-Mégantic and Casselton originated in the Bakken Oil Shale’s of North Dakota. Both areas have experienced an explosion of activity, raising concerns by environmentalists, and frowns from Federal Authorities as to the unusual explosiveness of these new crude’s. Stand by for more. "An Oil Train Near You," is cooking in the oven. 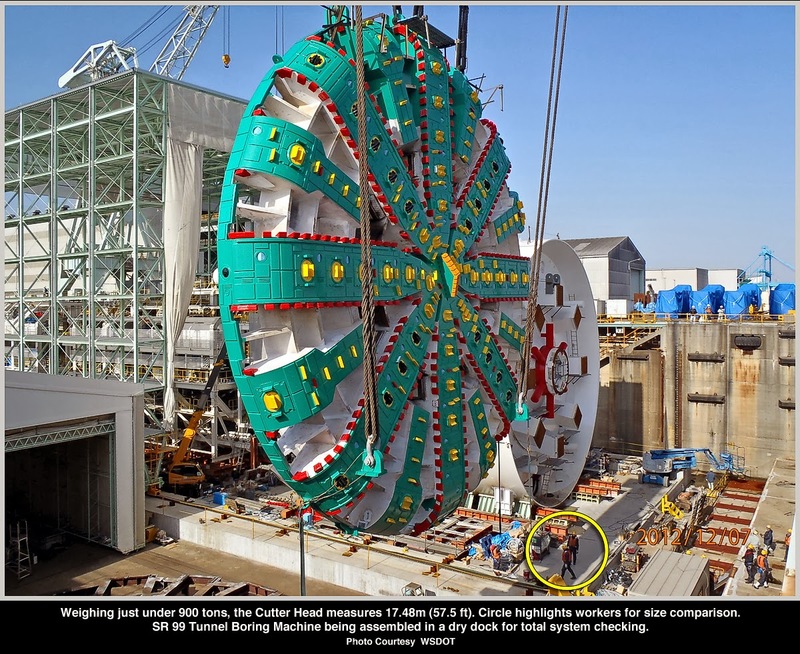 Bertha: Craw in Her Teeth? Updated. "Bertha," the world's largest Earth Pressure Balance Tunnel Boring Machine, featuring a 57.5 ft (17.48m ) cutterhead, weighing 887 st, driven by a 25,000 hp (18,388 kW) motor, ground to a halt on December 6th , having bored a mere 1,000 feet beneath Seattle. 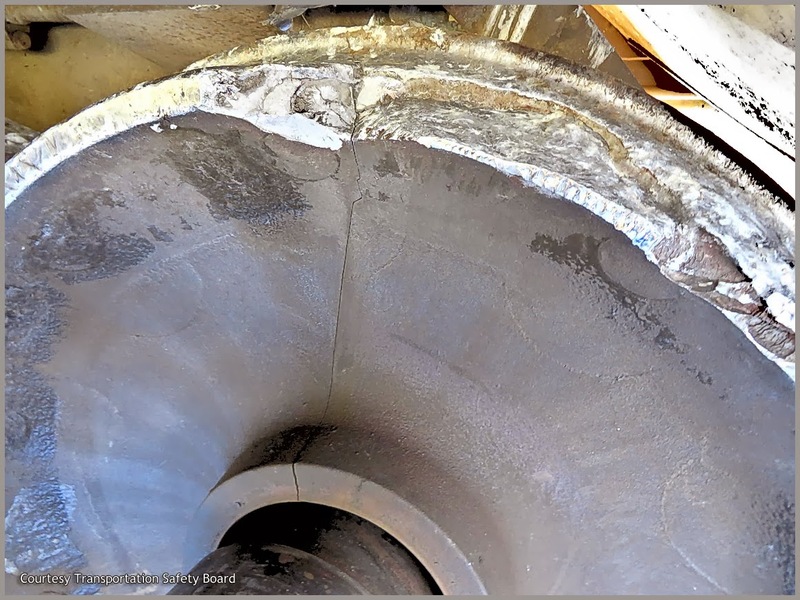 According to a report on KPLU 88.5 FM, "A steel pipe that the state Department of Transportation itself had installed back in 2002 may be the cause of the weeks-long work stoppage. 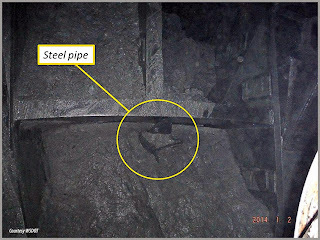 "An inspection on January 2nd revealed an 8 inch diameter (.20 meter) steel pipe protruding through one of the many openings in the cutterhead. 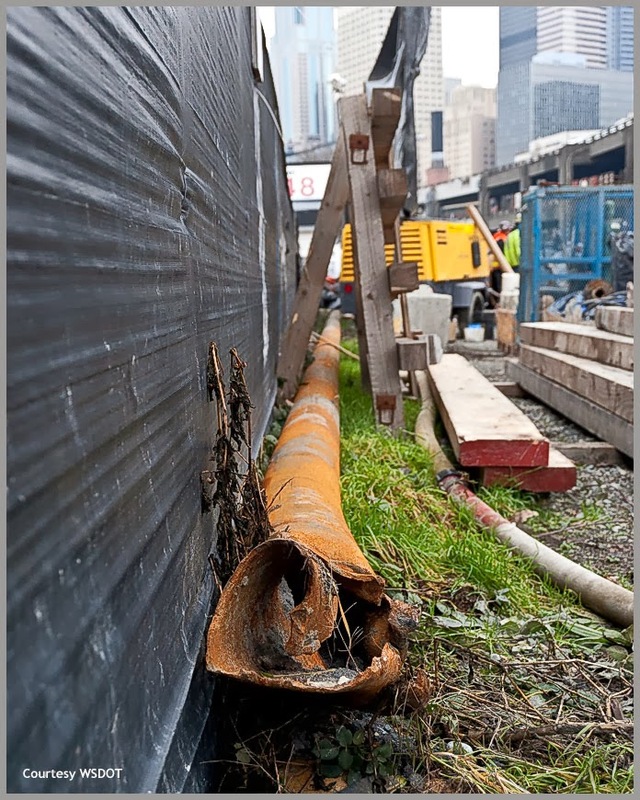 "The location of this pipe was included in reference materials in the contract," said WSDOT. 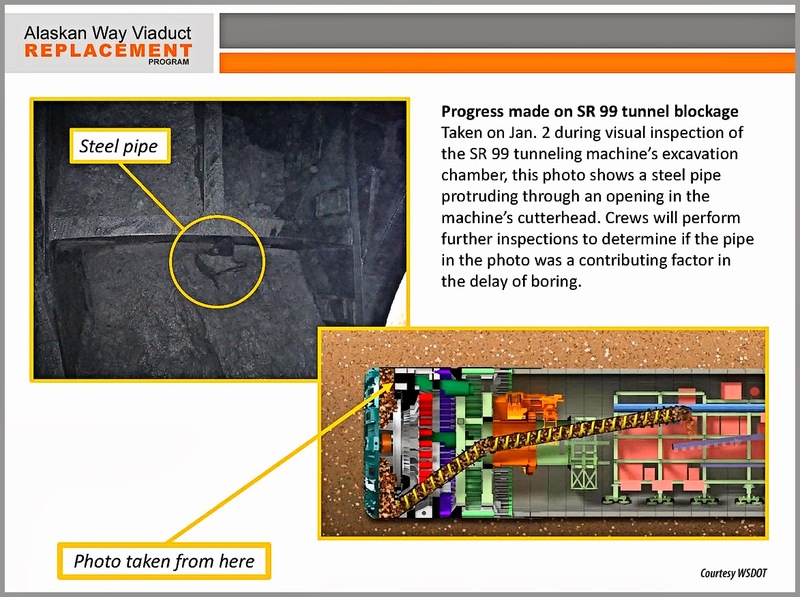 "However, contractor Seattle Tunnel Partners said the pipe's location came as "a surprise." The contractor claimed Department of Ecology rules require that such pipes be removed upon decommission of wells. "But a spokesperson for the department said rules only require that casings for decommissioned wells are properly perforated and filled. “There is no rule that [says] all well casings have to be removed. "Both WSDOT officials and the contractor declined to elaborate." In addition to the pipe, test borings suggest other objects, not yet within view, may be contributing to the blockage. Crews have only examined the top 15 feet of a hole nearly 60 feet deep. 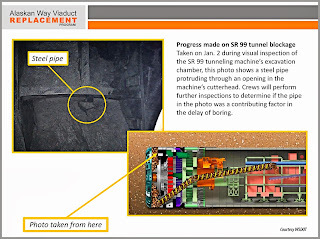 Click "Bertha" in the Index below for all SR99 Tunnel Project postings.